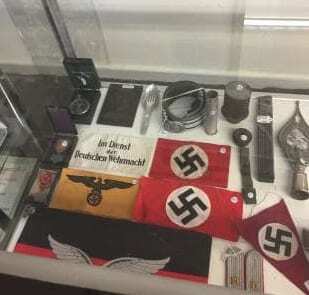 The Anti-Defamation Commission has expressed its horror and outrage at a shop in Melbourne proudly selling Nazi memorabilia. 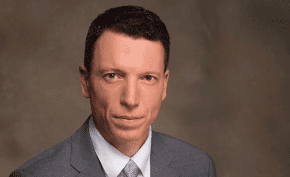 Dr Dvir Abramovich, Chairman of the Anti-Defamation Commission, plans on launching a campaign this year against the trade in Nazi memorabilia. He said: “Trafficking in death and blood must never become normal or Ok in Victoria. If you want to see first-hand the face of pure evil, responsible for the barbaric extermination of millions, look no further than the perverse objects showcased in EK Militaria. I’m sure that Hitler would be delighted to know that ghastly instruments of mass murder, glamorising his regime and its monstrous crimes, are proudly sold in a Melbourne store in 2019. The residents of Pascoe Vale are right to be worried that this shop is drawing through its doors neo-Nazis, Third Reich worshippers and white-supremacists who are nourished and revel in this stuff, and who pose a threat to the safety of their children. Does the shop sell the yellow star that the Jews were forced to wear??? I’ll have 2 dozen of them and wear them with pride. Thank you Dvir for your strong response on behalf of a Jewish community that is potentially threatened, in words and actions, by this blatant peddling of Nazi memorabilia, which spreads its message of hate effectively in the mainstream. It is appalling and disquieting to think that these objects, so evocative of the depraved excesses of Nazi genocide, will be cherished by some Australians and that they will find a place in Australian homes. People who want this stuff can still buy it on the internet. This is how the shop keeper probably got most of it in the first place. I would not buy this stuff but is a few market in Australia. If people like the ADC folks stopped talking aboutit all the time the merchandise will not get better known. I remember how upset the ADC and others got when an Israeli owned chocolate drink shop was boycotted in Melbourne recently. Your comments are offensive and ignorant. They not only utterly falsely equate Israel to the murderous Nazi regime, but they equate products that all can enjoy with items used by that horde of cruel, bloodthirsty, thieving sadists that left death, pain and suffering wherever they went. And while Jews suffered the most from the Nazis, so to did the gypsies and other Europeans especially Poles and USSR citizens. Drinking Brenner’s hot chocolate didn’t hurt anyone apart from Jew haters. Paul Winter you should calm dowm. I had an uncle in the RAAF (I assume you know what that acronym means) KIA in WW2 over France. The Lancaster and aircrew crashed into the Bay of Biscay never to be seen again except for one (a Brit) washed up on the French coast barely alive who later died in a French hospital. Incidentally the Max Brenner store in South Melbourne closed about two years ago so all the support they received, even from Michael Danby, achieved nothing. You see there is a Lebanese deli across the road that has been around for nearly 50 years who serve chocolate as well as coffee and locals and day workers stuck with the deli. If it’s an antique shop, then it is selling historic items. Such items often reflect shameful times or events, and are usually bought by people who are knowledgeable and sympathetic to those who suffered. I have many stamps with Hitler on them in my collection: they make me sad, but they are a part of history and omitting them cannot erase the crime and the horror committed. Many buy Nazi relics for investment, and some out of plain curiosity. Since the items represent a dangerous ideology, would it not be a good idea to register the items when sold? Authorities would then have a good idea who to keep an eye on. The odd purchase should not arouse suspicion. While I never want to see historic memorabilia banned in Australia, I would support a sales ban on new items and reproductions representing Nazism. Nazism was an evil political plague for 12 years and Fascism in Italy and Spain for a bit longer. However Communism has be a scourge world wide for 100 years and still thriving. Mao, Stalin and others also murdered millions, in Mao’s tens of millions.